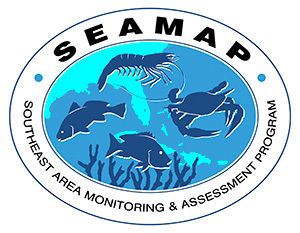 This is the fourth preliminary data summary for the 2004 SEAMAP Summer Shrimp/Groundfish Survey in the northern Gulf of Mexico. This week's summary includes sampling June 22 through June 28 by the NOAA Ship OREGON II. Catch data from the OREGON II were taken with a 40-ft trawl. Only one station was sampled west of the Mississippi River during this sampling period. The catch data from west of the River indicated that the highest catch rate of brown shrimp was 6.8 lb/hr of 15-count shrimp in 45 fm at 27°58.7' N. lat. and 93°57.5' W. long. No white or pink shrimp were caught at this station. The maximum total catch rate at this station excluding the three shrimp species was 178 lb/hr, with no predominant species. The catch data from Texas indicated that the highest catch rate of brown shrimp was 48.3 lb/hr of 54-count shrimp in 17 fm at 28°09.8' N. lat. and 95°58.5' W. long. The highest catch rate for white shrimp was 19.4 lb/hr of 15-count shrimp in 11 fm at 28°31.1' N. lat. and 95°41.3' W. long. The catch data from Texas indicated that the highest catch rate of pink shrimp was 1.9 lb/hr of 37-count shrimp in 20 fm at 28°19.3' N. lat. and 95°10.7' W. long. The maximum total catch rate excluding the three shrimp species was 271 lb/hr in 8 fm at 28°46.4' N. lat. and 95°23.2' W. long., with spot being the predominant species.